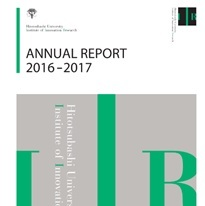 Hitotsubashi University Institute of Innovation Research : NEWS　IIR Annual Report has been published online. NEWS　IIR Annual Report has been published online. IIR Annual Report has been published online. The IIR Annual Report for academic year 2016-2017 has been published. It gives detailed information on research and education activities of IIR.